Silica Microspheres, Carboxyl, 1.0μm | Polysciences, Inc. These silica microspheres are available with a nominal diameter of 1.0µm to allow the researcher to tailor his/her product design for specific assays. 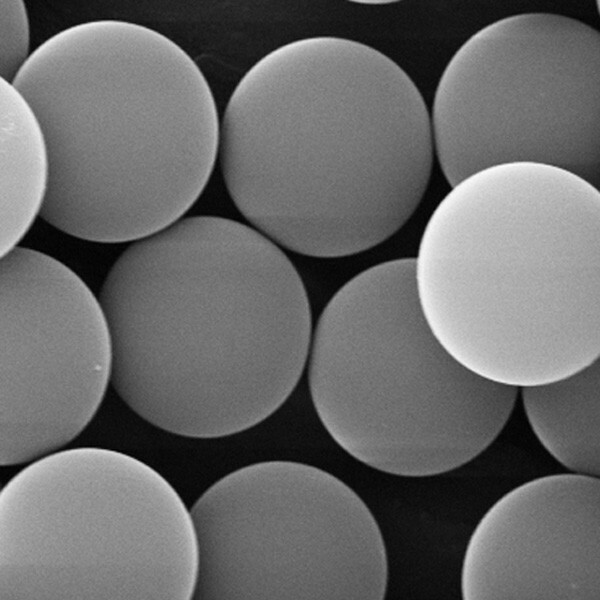 Our non-functionalized silica microspheres are also available in a wide range of sizes. Polysciences' uniform, non-porous silica microspheres are available in diameters of ~150nm to 5µm. The particles typically have size CVs of 10-15%. For applications that require highly stringent CVs (e.g. 2-5%), call for product availability. They are suitable platforms for surface modification with functionalized organosilanes to introduce specific binding sites. Custom synthesis is available on request for specialty products.